What can lawyers learn from startup companies? A lot more than you might think! For starters, a while back I suggested that BigLaw could stand to adopt startup businesses’ ability to pivot and change quickly. But that’s not the only startup trait that lawyers can successfully incorporate into their practices. In order to increase productivity and job satisfaction, lawyers should consider adopting startup work culture into their law offices and using new technologies as well. You rarely hear about law offices offering built-in opportunities to de-stress. Instead when it comes to lawyers, what you hear most often is that they’re incredibly stressed out, unhappy, and overworked. In fact, the legal field is one of the professions with the most depressed, suicidal and chemical dependant members as we showed in our recent infographic on law depression. For example, as recently reported in the ABA Journal, according to age-adjusted information provided to CNN by the Centers for Disease Control and Prevention, the legal profession ranks fourth for its rate of suicides. According to that same article, lawyers are six times more likely to suffer from depression as the general population. Lawyers fare no better when it comes to chemical dependency, with the Abnormal Use Blog reporting that the legal profession’s rate of chemical dependency is estimated to be at 20%, double that of nonlawyers. The practice of law is unique–and with it comes unique stresses. 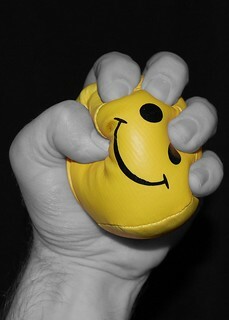 Of course, stress can’t be removed from the practice of law, but there are ways to reduce it. One of the best ways is to change the way that you work. For starters, you can modify your firm’s work environment to make it easier for you and your employees to relax and take breaks. Take a cue from startup culture and revamp your law office to provide a more comfortable and relaxing environment that encourages all employees take breaks and re-energize as needed. You can also take steps to reorganize and streamline your office’s processes so that you and your employees can get more done in less time. Utilizing new technologies to automate law office redundancies and increase efficiency is key. By selectively choosing appropriate technology tools and software for your law firm’s needs, you can increase productivity and reduce stress. First, let’s take a look at lessons that can be learned from the startup culture. Matt Spiegel, MyCase’s founder and VP, recently discussed this idea during his speech earlier this year at LexThink, a mini-conference held the night before the start of ABA Techshow in Chicago. Matt suggested that lawyers should revamp their work environments with the end goal of reducing stress and increasing morale. He suggested that law firms should take a cue from startups and encourage a fun, collaborative work environment that provides opportunities for employees to relax and blow off steam periodically throughout the day. He explained that at the MyCase office, physical comfort is important, so there are beanbag chairs for employees and a break room stocked with healthy snacks and drinks. There are also plenty of opportunities to take breaks and recharge, including engaging in an occasional nerf gun battle or heading over to the video game in order to blow off steam and relax. Another way to reduce stress is to increase efficiency by incorporating new software tools, including law practice management software into your law firm’s workflow. This will enable you to save time by streamlining law firm processes by automating document creation, creating workflows that automatically track deadlines and statutes of limitations, and enabling lawyers to more easily track and capture billable time using their mobile devices no matter where they happen to be. Your firm’s intake and communications features will be improved as well, thus saving time by reducing data entry redundancies and miscommunications. So why not take steps today to reduce the stress levels of everyone in your law office? Take your cues from startup culture and make a change in your firm’s work environment. Get started today and see what a difference new technologies and a more relaxed environment can make!